Workers’ compensation law defines the rights of a worker who is injured or becomes ill due to a work-related incident and allows the injured worker to recover appropriate benefits. At the McGinn Law Firm attorney Ed Noethe is committed to protecting the rights of injured workers. We understand that being unable to work because of a workplace injury is a difficult situation, and our goal is to simplify the process as much as possible. We represent clients who have suffered an injury due to an accident on the job, who have gradually developed an injury or illness due to repetitive trauma or toxic exposure, or who have been injured by third parties, such as other drivers on the road, employees of other companies, or manufacturers of defective products. Workplace injuries or illness are sometimes caused by the negligence of someone other than your employer. If you are injured by the negligence of a third party during the course of carrying out your job duties, you are entitled to bring a civil lawsuit against that third party to recover for your personal injuries. For example, if you are driving while on the job and another car hits you, you can bring a negligence action against the other driver and sue for damages. Similarly, if you are injured on the job because of a defectively designed or manufactured product, or if a product has inadequate warnings about the use of the product, you may have a claim against the product manufacturer. Our attorneys are experienced in both workers’ compensation and personal injury claims, and can capably handle every aspect of your case, including any third party liability and related civil claims, ensuring that you receive all of the compensation to which you are entitled. Our attorneys have significant experience in the probate administration of both simple and complex estates, and both formal and informal probate proceedings. We assist clients with probating wills or in the administration of estates where the decedent died without a will (“intestate”). Our attorneys are seasoned litigators and are experienced in representing fiduciaries and beneficiaries in connection with trust, estate, and probate disputes. We represent clients in connection with an array of trust and estate issues, including intra-family disputes, challenges to the validity of estate planning documents, allegations of estate mismanagement or breach of fiduciary duty, and claims by beneficiaries. Attorneys at the McGinn Law Firm provide sound professional advice and representation to buyers and sellers and other parties in real estate transactions and real estate litigation disputes. We represent clients in connection with transactions and litigation involving residential, commercial and agricultural property. We assist our clients in negotiating, drafting, or reviewing contracts for the purchase or sale of real property or commercial lease agreements. Our goal in every transaction is to make sure our clients’ rights are fully protected and their objectives are met. Our attorneys also represent clients in a variety of real estate disputes, including contract disputes and disputes over the sale of real property, construction disputes, and landlord/tenant disputes. Injured workers who suffer permanent injuries and disabilities may be eligible to receive Social Security Disability Insurance (SSDI) benefits from the U.S. Social Security Administration. Applicants must be able to provide medical certification of their disabilities, including documentation certifying that the employee’s physical or mental disability prevents him or her from performing gainful work for a period of at least 12 months, or will eventually cause death. An injured worker’s dependents may also qualify for SSDI benefits, and workers who have been receiving SSDI benefits for 24 months also become eligible to receive Medicare benefits. Many claims for SSDI benefits are denied at the initial filing, making it critical that you contact experienced counsel as soon as possible to discuss your claim. The attorneys at the McGinn Law Firm are dedicated to ensuring that you receive all of the benefits to which you are entitled. We can help you swiftly and successfully navigate through the SSDI process. 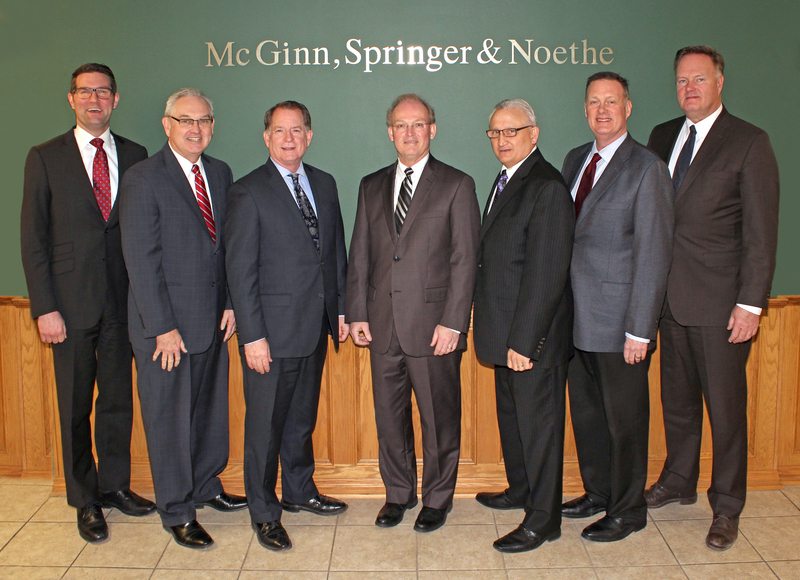 The McGinn Law Firm has served clients in Western Iowa and Eastern Nebraska since 1914, and our attorneys have an established reputation in the legal community for our dedication to professional excellence and outstanding client representation. We welcome your inquiry regarding our services. Contact the McGinn Law Firm to schedule a free consultation with one of our friendly and attentive lawyers. If you are facing a family law issue, contact us today at (712) 227-5885 to schedule a FREE initial consultation.